Archive recording is a way to record everything from one input to a video file. To start archive recording, just click Start archive recording button in the top right corner. When you start you need to specify an output file. When you want to stop the recording, just click the same button again. Some other applications require recording to be turned on to create replays and clips. For LiveReplayer this is not the case. Archive recording is thus an optional feature which is only used to save your input signal as a video file. Open LiveReplayer → Preferences in the menu and choose the Inputs tab. You have an option here to change the bitrate. Please note that this option is only available for Blackmagic inputs. Archive recording works perfectly fine with external drives. 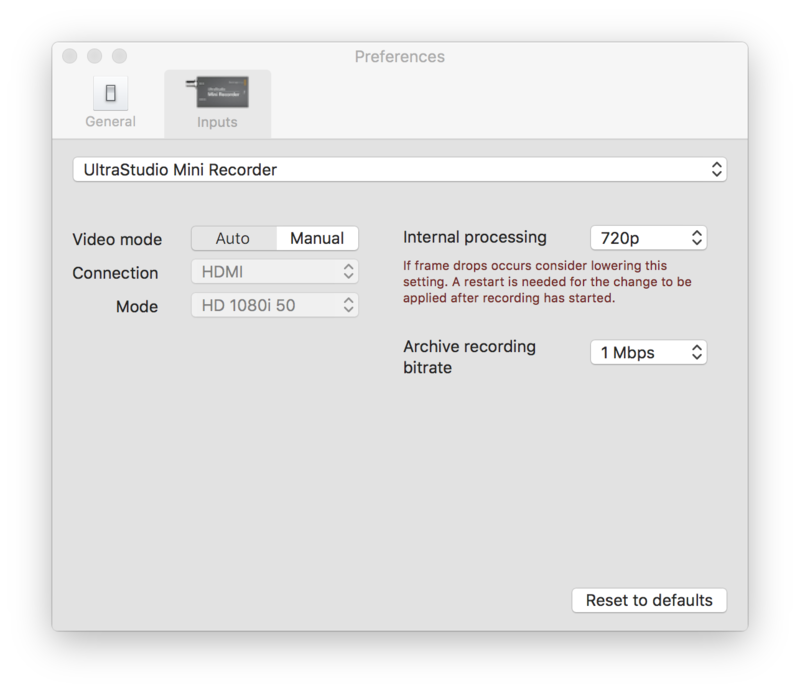 Just choose to save the file to the external drive when starting the recording.